It isn’t every day that you come across that one lip product you wished you had known about much earlier. And once you find it, you’d almost want to check out the other colours in the same product range. That’s exactly how I felt when I first got my hands on the INGLOT HD LIP TINT MATTE in shade 18. I had won it in a Robinsons Singapore giveaway some weeks back and couldn’t believe my luck when I dropped by the store to receive it. The lip product itself is pigmented and long lasting, though not as much as the JOUER COSMETICS LONG-WEAR LIP CREME LIQUID LIPSTICK (read my review of it here) in both cases. It doesn’t have a scent, which is what I like about it, and goes on evenly on my lips. The best part? It doesn’t give me an allergic reaction! Wearing gorgeous natural AMETHYST STUD EARRINGS from Trouvée.Co. I super love the colour and think it’s perfect for the more moody days, or when I want to channel the inner goth in me. It’s a great alternative – and a cheaper one at that – to the TOM FORD BLACK DAHLIA LIP COLOUR MATTE, which is also one of my favourite dark lip colours of the moment. Isododecane, Synthetic Wax, Trimethylsiloxysilicate, Methyl Trimethicone, C30-45 Alkyl Methicone, Bis-Vinyl Dimethicone/Dimethicone Copolymer, Mica, C30-45 Olefin, Disteardimonium Hectorite, Propylene Carbonate, Fragrance/Parfum, Caprylyl Glycol, Phenoxyethanol, Synthetic Fluorphlogopite, Isopropyl Titanium Triisostearate, Hexylene Glycol, Tocopherol, Silica, Tin Oxide, Benzyl Benzoate. May contain: Red 6 Lake (CI 15850), Red 7 Lake (CI 15850), Yellow 5 Lake (CI 19140), Blue 1 Lake (CI 42090), Red 27 Lake (CI 45410), Iron Oxides (CI 77491, CI 77492, CI 77499) and Titanium Dioxide (CI 77891). This shade goes really well with an otherwise neutral outfit, and you just need to balance it with filled brows and some mascara. 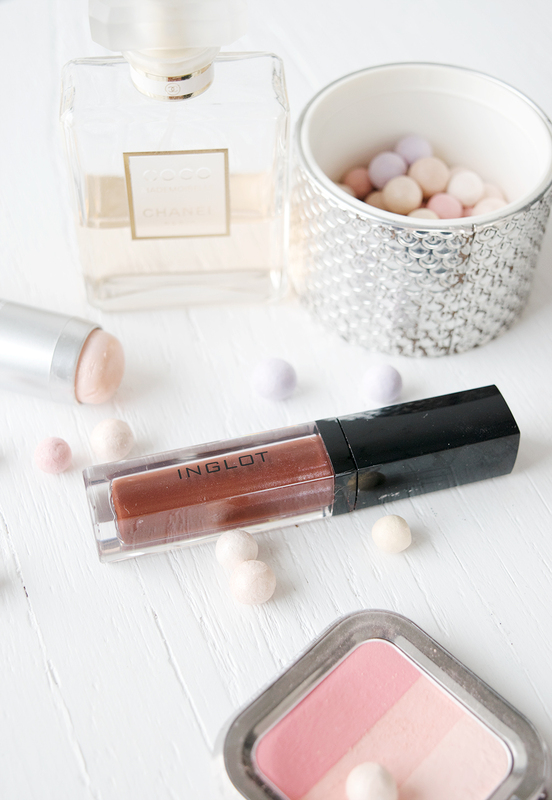 Keeping the eye colours simple will go a long way to making this lip colour stand out on its own. I recommend leaving the heavy falsies at home and sticking to your trusty curler instead. 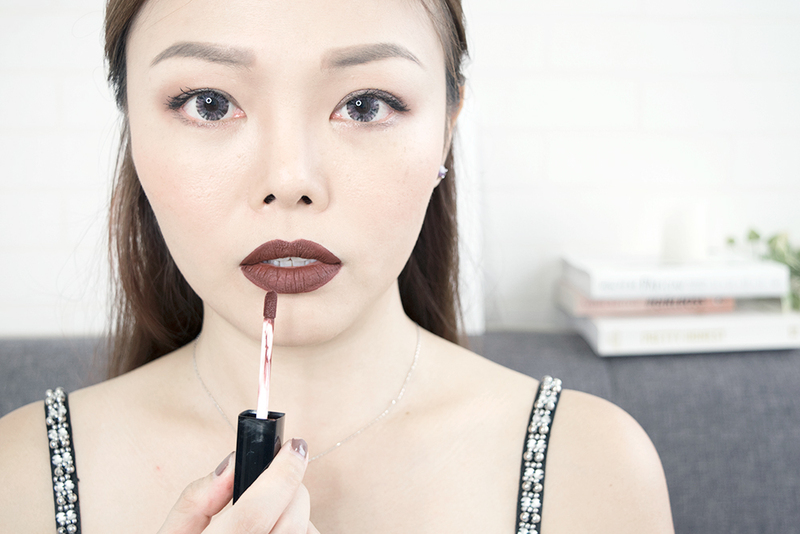 I think dark lip colours are amazing, and you should at least give it a try. It adds so much more depth to your face without you actually having to put on more makeup, and is such a simple way to get people to notice you. Not a fan of heavy contouring and highlighting? You might just be surprised with this. 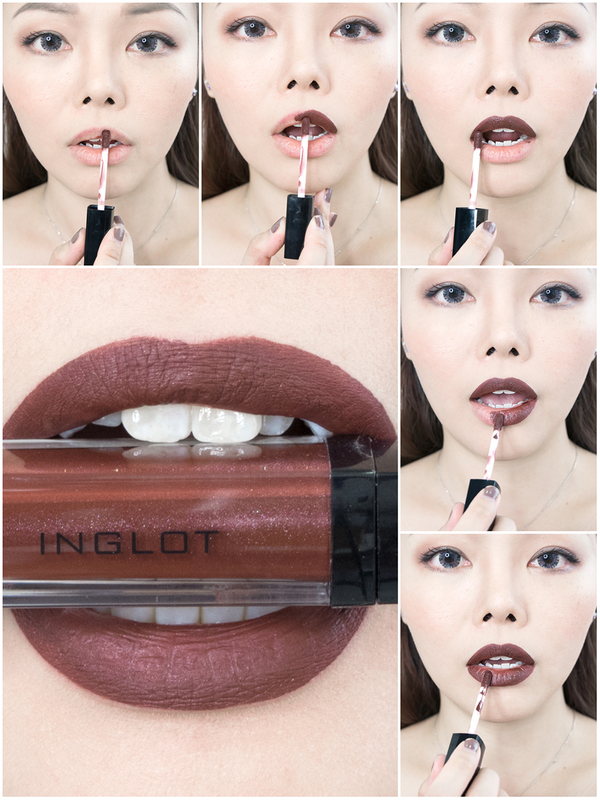 The Inglot HD Lip Tint Matte in Shade 18: A Dark Lip Colour for the Goth Goddess in You was last modified: January 12th, 2017 by Roxanne C.